Pastor Kemoah Wray was born on February 20, 1985 in the parish of St. Catherine, Jamaica. The son of Rupert and Hyacinth Wray, young Pastor Wray was raised in the church. He began singing at age three and was frequently known to sit among the prayer mothers during service. He was baptized in the Trinitarian faith at age 10 and started preaching all over Jamaica at age 12. Even as a young boy, Pastor Wray knew the importance of prayer and would lock himself away in his mother's closet seeking the face of God. The Lord is a rewarder of those who seek Him, and by age 14 Pastor Wray was a choir director and Sunday school teacher, as well as an active participant in youth ministry. At the age of 15 a major prophecy was declared over Pastor Wray's life. The Lord revealed that Pastor Wray would be used as a pastor in the last days to bring men back to God. In this time period, he also had an angelic visitation in which he saw his voice covering the globe and preaching the gospel of Jesus Christ. The Lord took these years to develop His gifts in Pastor Wray who was used to reach the youth of Jamaica by preaching at many tent meetings and schools. At age 17 Pastor Wray and his family migrated to the United States. He remained fervent in his desire to serve the Lord in this new setting. As a Trinitarian, Pastor Wray was invited to preach and minister in song in many states, Canada, and Jamaica. At age 22, however, his service to the Lord had a dramatic transformation. While in Canada on a church trip, Pastor Wray was in attendance at an Apostolic church where God gave him the revelation of the His oneness. Shortly thereafter he took on the name of Jesus in water baptism and his life has never been the same. Shortly after accepting the great apostolic truth, God brought Sister Kedisha Wray into his life. She is the Love of his life and works hand in hand with Pastor Wray to fulfill the call of God on their lives and the City of Poughkeepsie. She is truly the helpmeet described in the Word of God. 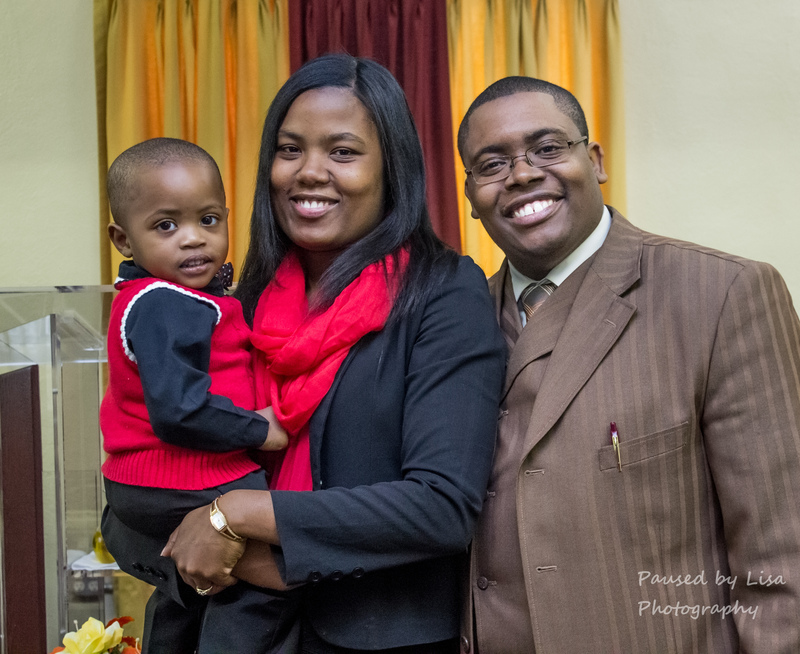 In 2013 the couple was blessed with their firstborn son, Josiah, who is indeed a blessing. Pastor Wray's call to ministry came to him at age 24. He saw the Lord present him with the souls of his city and tell him to go forth and baptize them in the name of Jesus. He had a visitation in which the Lord told him that by age 25 his ministry would begin. Though in their first year of marriage, Pastor and Sister Wray moved at the impulse of God knowing that if He gives the vision, He will make the provision. In 2010, Pastor Wray became the Pastor of Faith Apostolic Ministries in Poughkeepsie, NY. Pastor Wray remains an ardent worker in the vineyard. He has the same fire for souls and devotion to prayer he had as a young man. He is currently pursuing his Bachelor's Degree in theology at Indiana Bible College. Though powerfully used as a preacher, Pastor Wray is also an anointed teacher arming the saints of Faith Apostolic with the tools they need to fulfill the great commission. He lives his favorite scripture by laboring tirelessly and steadfastly in the work of the Lord. “Therefore, my beloved brethren, be ye steadfast, unmovable, always abounding in the work of the Lord, forasmuch as ye know that your labor will not be in vain in the Lord” (I Corinthians 15:58).